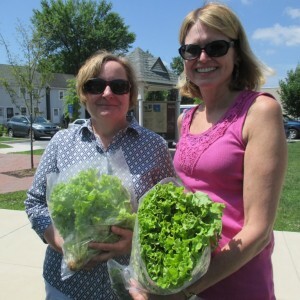 Our Community Supported Agriculture (CSA) program got off to a great start today as more than 100 boxes went out from distribution sites at the Food Bank of Delaware’s Milford branch and at the Downtown Dover Farmers’ Market. New Castle County residents will pick up boxes on Thursday in Newark and the Wilmington Farmers’ Market at Cool Springs Park. Folks claiming their shares in Dover were excited to have fresh lettuce, blueberries, green onion, red potatoes, herbs, squash, tomatoes and cantaloupe. Though CSA is a relatively new concept, most people are aware that it’s an opportunity to buy shares of local produce that are boxed, and then picked up weekly throughout the growing season. The cost for a full share is $500 (with $100 tax deductible) or $250 for a half share ($50 tax deductible), and payment options are available by visiting www.fbd.org/program/csa. The program can also be pro-rated for those who sign up later in the season. Those who purchase a season’s share are also sponsoring 2.5 shares for families in need, so everyone benefits. Those who meet income guidelines can register and purchase a half share for $5/week or full for $10/week. 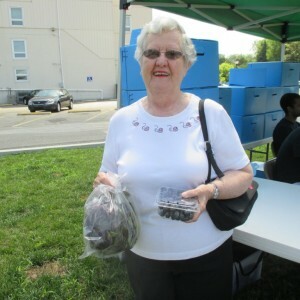 Janice, a Dover senior citizen, was first to pick up her share, and brought her own bags to carry the produce. “I can’t afford to buy the bagged salad mix. It allows me to eat better. I’m on a fixed income, and I love it,” said the retired homemaker. She also likes trying the recipes that are included each week. This week’s recipe, for example, was for a chilled cantaloupe soup. Don Boucek of Camden echoed Janice’s sentiments. “I like the vegetables. It changes my eating habits with more fruit, like strawberries and watermelon,” he said. 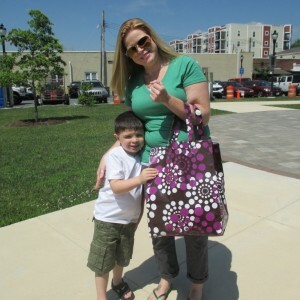 Smyrna residents, Rebecca and Sandy, are first-time sponsors in the program, each purchasing a half share. “I like fresh produce, locally grown and it helps the Food Bank. It’s a win-win situation,” she said. Sandy, a dietitian, said she talked her friend into signing up for the CSA boxes. “We can pick up for each other, if one is on vacation. I’m so excited. It makes us eat well,” she said. Contents for the Food Bank’s CSA program come from the historic Laurel Farmers’ Auction Market. Calvin Musser, manager, said the season starts in June with squash, cucumbers and peppers, with corn arriving in late June. The CSA boxes also include fresh leafy vegetables, herbs, tomatoes, fruit and root vegetables as they are grown locally. Each full share is enough to feed a family of four for a week. To learn more, contact Barb Brkovich, CSA Program Coordinator at (302) 292-1305 ext 204 or bbrkovich@fbd.org. Individuals may also visit www.fbd.org/program/csa. I am trying to find out when the sign up is for low income families for discount rates on the CSA. The website with information seems to have changed. Last I checked, it said the beginning of the year but didn’t say when and now I can’t find any information. We would like to sign up for it. Thank you. Hello! We will not be sponsoring our CSA Program this year. Are you currently using SNAP benefits? If so, we are encouraging individuals to utilize their SNAP benefits at local farmers markets.